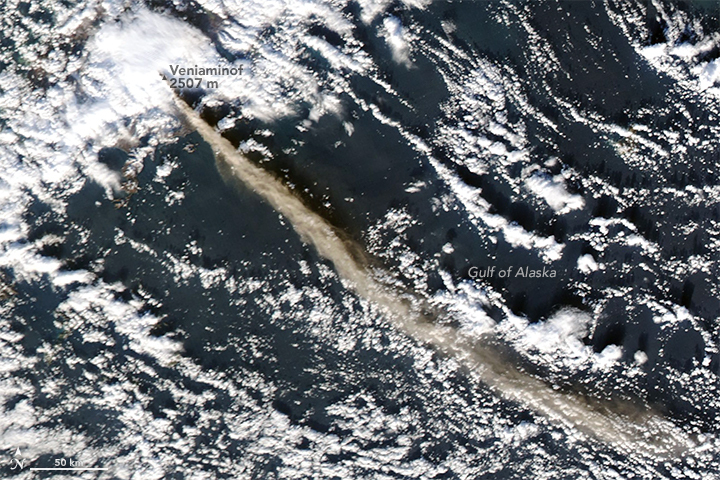 On November 21, 2018, ash and volcanic gases streamed from Alaska’s Veniaminof volcano for much of the day. 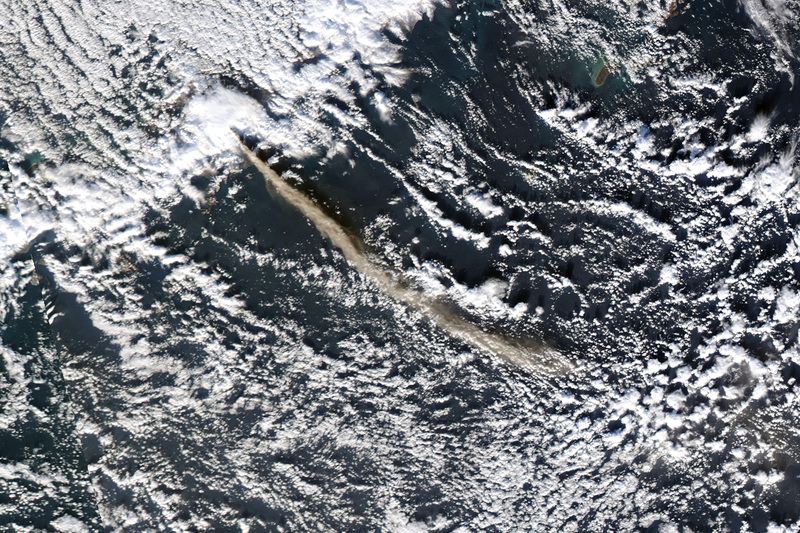 The Moderate Resolution Imaging Spectroradiometer (MODIS) on NASA’s Aqua satellite captured this natural-color image that day at 1:45 p.m. local time (22:45 Universal Time). 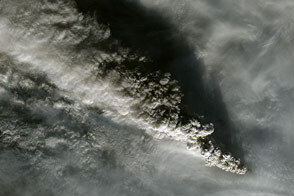 The plume reached a height of 4.6 kilometers (2.9 miles) and extended roughly 400 kilometers (250 miles), according to the Alaska Volcano Observatory. Ash emissions declined after November 21, but the volcano was still rumbling a week later as lava flowed from its ice-filled caldera. 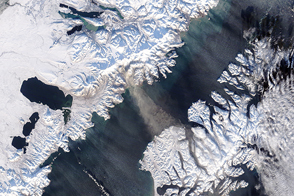 Veniaminof is one of the highest and largest volcanoes on the Alaska Peninsula. It has a steep, glacier-filled caldera that formed 3,700 years ago. NASA Earth Observatory image by Adam Voiland, using MODIS data from NASA EOSDIS/LANCE and GIBS/Worldview. Caption by Adam Voiland. 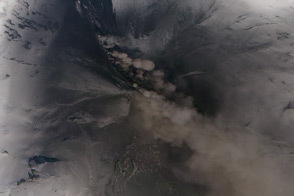 During a recent bout of activity, Veniaminof volcano rumbled and spit out ash, lava, and volcanic gases. Alaska Volcano Observatory Veniaminof. Accessed November 28, 2018. Alaska Public Media (2018, November 21) After a huge eruption of ash, Mount Veniaminof quiets down. Accessed November 28, 2018. Global Volcanism Program Veniaminof. Accessed November 28, 2018. Rocky Planet, via Discover (2018, November 21) New Eruption at Alaska’s Veniaminof and Evacuations at Guatemala’s Fuego. Accessed November 28, 2018. U.S. Geological Survey Volcanic ash. Accessed November 28, 2018. U.S. Geological Survey Volcanic gases. Accessed November 28, 2018.